There was a time when I used to upgrade my PC with new peripherals and hardware every 2-3 months, spending a good $200-300 dollars each time. Sometimes a new CPU and mainboard, sometimes a new DVD/CD-ROM drive and if I have more cash to spare , a complete overhaul of CPU/RAM/GFX etc. This went on until I stopped playing games due to family and work commitments. But the evolution of new PC hardware did not stop. I continued reading regularly on new hardwares and PC "toys" on several reputable websites and this latest graphic card is enormous! It runs the game "Far Cry" at a whopping 3840x2160 resolution "smoothly". 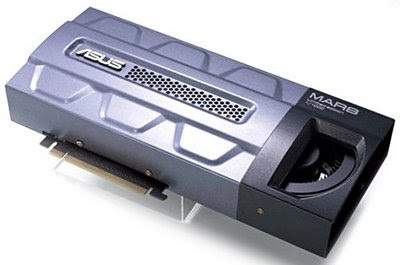 Claimed by its manufacturer "ASUS" to be the World's fastest graphics card now!. All the raw processing power.... just to play a game..